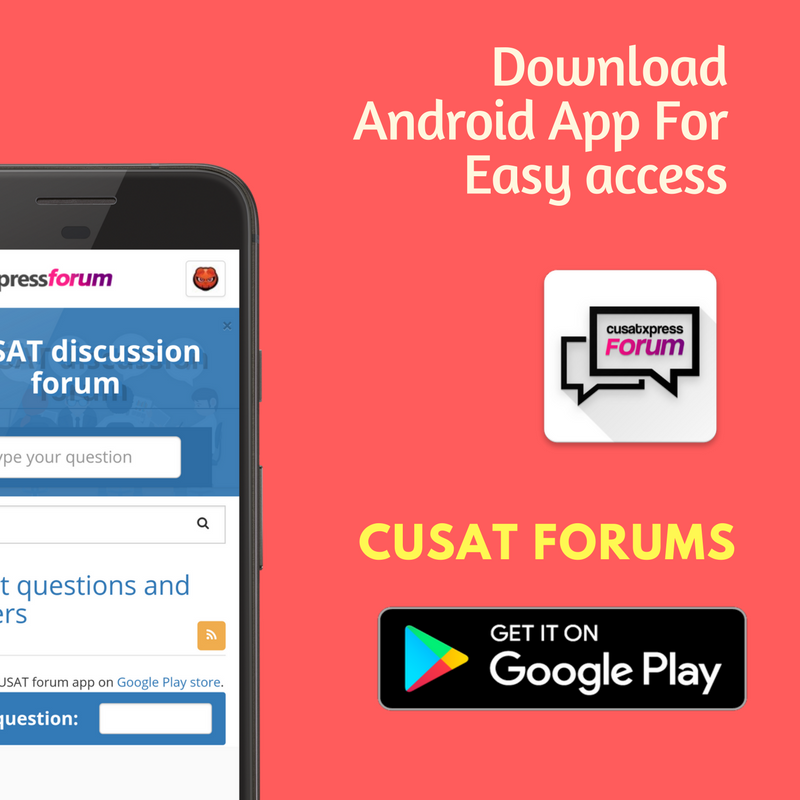 When is the Real time allotment in CUSAT CAT 2018 ? What are the Last Rank Admitted on Respective Departments in SOE and CUCEK Campus ? Sir, will I get EC in SOE or cucek on the spot admission ? After 5th allotment,what can i do? I have a waiting list 20 Nri for it in SOE can i get s seat ?? Will i get b.tech cse in 4th allotment? Can i get SOE cusat admission? i am not getting admission in other institute through entrance Could i go for cucek campus? Will i get CSE in 3rd or 4th allotment? What is the requirement of transfer certificate at time of counselling and what is transfer certificate? What are the documents required during counselling. my 2nd round W/L for ship building is 10 is there a chance of getting this branch in 3rd round or on counselling day? My rank is G-5742 & nri-89. Is there any chance in cs or sf if my waiting list is 19 nd 6 after 1st allotment. Rank is 4921 in gen cat having special reservation army quota..what are the chances of cs or it branch. Which round?